Bright fireballs and sonic boom were reported from various parts of the state on Friday night spreading panic, but experts said they could have been meteors. 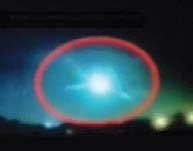 KOCHI/ THIRUVANANTHAPURAM:Bright fireballs and sonic boom were reported from various parts of the state on Friday night spreading panic, but experts said they could have been meteors. Around 10.30 pm, media houses, police and fire stations started receiving calls from in and around Ernakulam about some strange activity in the sky. Social media too was abuzz with reports about the sighting in and around Ernakulam district and North Kerala. “A big ball of fire fell over #Kochi...Followed by big boom,earthquake and big light blast,” tweeted @arthyrao. “People in Fort Kochi, Vyttilla, Vypin Paravoor and Kolenchery areas reported mild tremours in their locality. What raised eyebrows of many was a luminous object, which fell from the sky. Most probably it could be a meteorite. Reports from Valamboor near Kolenchery in Kunnathunadu Thaluk, suggest that it may have landed there. We are still investigating,” said Shekhar Kuriakose, head of State Emergency Operations Center. In Thiruvananthapuram district, the fireballs were reportedly seen in Vazhayila and Sreekariyam. Theories were also abuzz that this could be rocket debris which earlier hit parts of western USA on February 24. The Orbital Debris Program Office of the American space agency NASA had confirmed them to be parts of a Chinese rocket Norad, which re-entered the atmosphere. But the Meteorology Department and Disaster Management Authority refuted the theory stating that if this was the case they could have been spotted by the met radars. “I heard about the sonic boom sound and the rocket theory. However no strange activity has been reported in the radars. We have also received no clue for earthquakes,” said Ernakulam Collector M G Rajamanickam, who heads the Disaster Management Authority here. Minister Adoor Prakash said there was no need to panic.